The Sydney Division, Engineers Australia Water Engineering Panel will like to add an additional speaker to the Student Honours Thesis Presentation. We are proud to introduce Lisa Pomeroy. Lisa graduated from the University of Melbourne with a Bachelor of Environments (Civil Systems) and has since completed her Master of Engineering (Civil). There is great concern in Australia surrounding the effects of increased impervious areas resulting from urban development. With urban planning placing increased pressure on water sensitive urban design and increased runoff water volumes, the need to estimate imperviousness has become vital. Effective Impervious Area (EIA) is considered to provide a more realistic and representative estimation of the impervious area generating runoff. It is commonly estimated by means of the statistical technique of regression analysis using the rainfall and runoff data for the study area. Impervious area which connects directly to the drainage network is commonly termed Directly Connected Impervious Area (DCIA). It is commonly estimated through the use of aerial photographs and visual analysis. 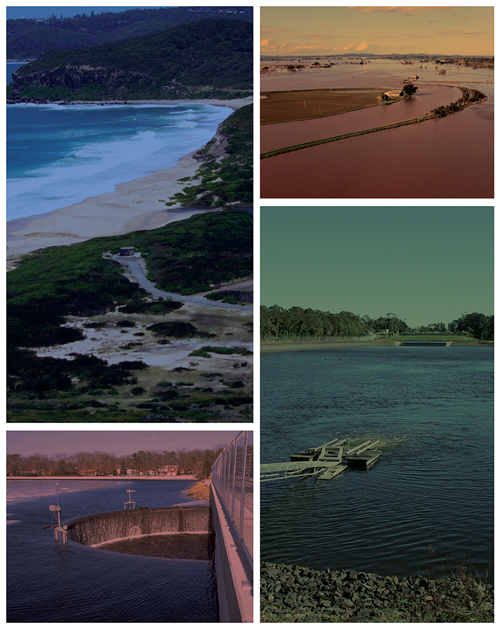 This study estimated the Effective Impervious Area (EIA) for the Kinkora Road Retarding Basin Catchment in Blackburn, Australia, and sought to determine if the estimation of Directly Connected Impervious Area (DCIA) is consistent with the estimate of EIA. The presentation will be held at the Aerial Function Centre, UTS , on Wednesday, 30th April 2014, with light refreshments from 5.30pm for a 6.00pm start. RSVP is requested via the EA booking system. A full updated PDF flyer is given in the link below.